Recursive acronyms and abbreviations refer to themselves. Acronyms are supposed to be an MIT tradition. Once, they had written an editor, which they called "EINE" (which means a/one in German). It's an acronym for "EINE Is Not Emacs", but this editor is Emacs-like editor. Its successor was called "ZWEI" (German for two). Let's stick with editors. Have you ever heard about Joe or JOE? Of course, another candidate: Joe stands for Joe's Own Editor. "And now for something completely different ...": You need to do some mp3 encoding? In this case, you might find LAME very usefull. LAME is a program which can be used to create compressed audio files and its letters stand for "LAME Ain't an MP3 Encoder"
"And now for something completely different ...": PNG was created to improve upon and replace GIF (Graphics Interchange Format) as an image-file format not requiring a patent license used in GIF. Officially, the acronym stands for Portable Network Graphics but we prefer "PNG's Not GIF". 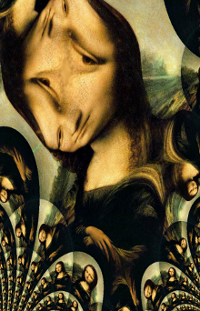 "To understand recursion you need to understand recursion. Or is it the other way round?" We have to stop our short excursion to the use of recursion in natural language to come back to recursion in computer science and programs and finally to recursion in the programming language Python. It's used so often as an example for recursion because of its simplicity and clarity. We will come back to it in the following. Recursion is a method of programming or coding a problem, in which a function calls itself one or more times in its body. Usually, it is returning the return value of this function call. If a function definition satisfies the condition of recursion, we call this function a recursive function. A recursive function has to fulfil an important condition to be used in a program: it has to terminate. A recursive function terminates, if with every recursive call the solution of the problem is downsized and moves towards a base case. A base case is a case, where the problem can be solved without further recursion. A recursion can end up in an infinite loop, if the base case is not met in the calls. It is common practice to extend the factorial function for 0 as an argument. It makes sense to define 0! to be 1, because there is exactly one permutation of zero objects, i.e. if nothing is to permute, "everything" is left in place. Another reason is that the number of ways to choose n elements among a set of n is calculated as n! divided by the product of n! and 0!. This subchapter of our tutorial on recursion deals with the Fibonacci numbers. What do have sunflowers, the Golden ratio, fir tree cones, The Da Vinci Code, the song "Lateralus" by Tool, and the graphic on the right side in common. Right, the Fibonacci numbers. The Fibonacci numbers are the numbers of rabbit pairs after n months, i.e. after 10 months we will have F10 rabits. Let's have a look at the calculation tree, i.e. the order in which the functions are called. fib() is substituted by f(). The Lucas numbers or Lucas series are an integer sequence named after the mathematician François Édouard Anatole Lucas (1842–91), who studied both that sequence and the closely related Fibonacci numbers. The Lucas numbers have the same creation rule than the Fibonacci number, i.e. the sum of the two previous numbers, but the values for 0 and 1 are different. If you want to learn more on recursion, we suggest that you try to solve the following exercises. Please do not peer at the solutions, before you haven't given your best. If you have thought about a task for a while and you are still not capable of solving the exercise, you may consult our sample solutions. In our section "Advanced Topics" of our tutorial we have a comprehensive treatment of the game or puzzle "Towers of Hanoi". Of course, we solve it with a function using a recursive function. The "Hanoi problem" is special, because a recursive solution almost forces itself on the programmer, while the iterative solution of the game is hard to find and to grasp. Write a recursive program to calculate the Fibonacci numbers, using Pascal's triangle. Implement a recursive function in Python for the sieve of Eratosthenes. The sieve of Eratosthenes is a simple algorithm for finding all prime numbers up to a specified integer. It was created by the ancient Greek mathematician Eratosthenes. Starting from i+i, count up by i and remove those numbers from the list, i.e. 2*i, 3*i, 4*i, aso..
Find the first number of the list following i. This is the next prime number. You can easily see that we would be inefficient, if we strictly used this algorithm, e.g. we will try to remove the multiples of 4, although they have been already removed by the multiples of 2. So it's enough to produce the multiples of all the prime numbers up to the square root of n. We can recursively create these sets. Write a recursive function find_index(), which returns the index of a number in the Fibonacci sequence, if the number is an element of this sequence and returns -1 if the number is not contained in it, i.e. The sum of the squares of two consecutive Fibonacci numbers is also a Fibonacci number, e.g. 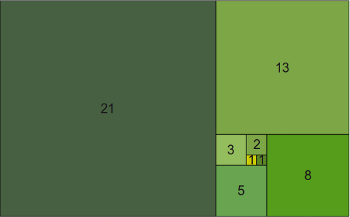 2 and 3 are elements of the Fibonacci sequence and 2*2 + 3*3 = 13 corresponds to Fib(7). Use the previous function to find the position of the sum of the squares of two consecutive numbers in the Fibonacci sequence. The following program implements the sieve of Eratosthenes according to the rules of the task in an iterative way. It will print out the first 100 prime numbers.
""" finds the natural number i with fib(i) = n """